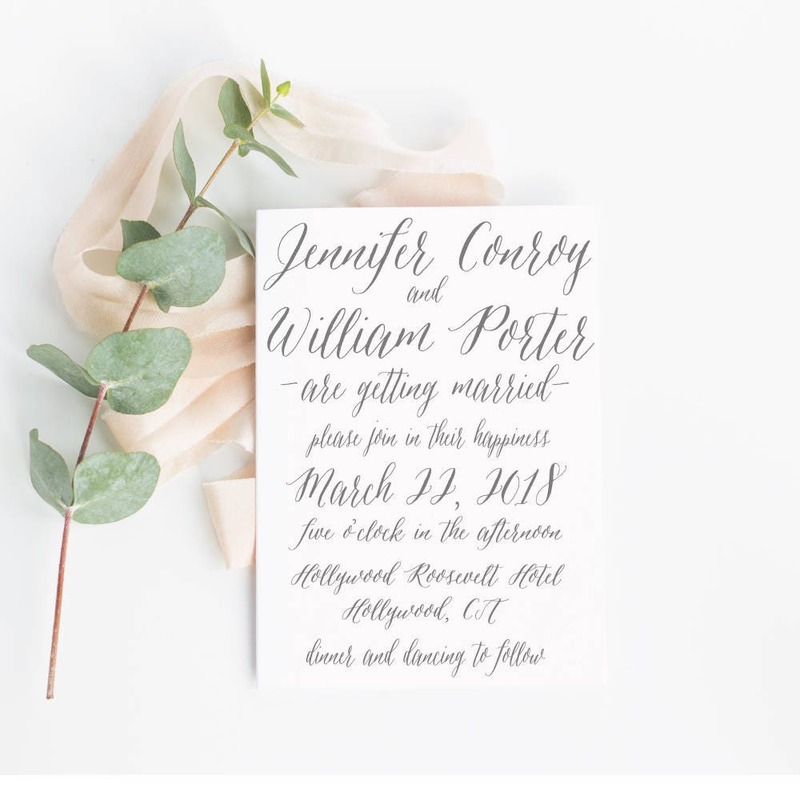 This modern calligraphy invitation has been featured in several magazines and receives the most rave reviews! 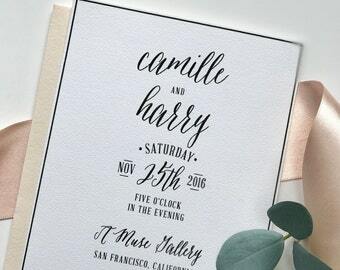 The simplicity of the design pairs well with any theme and every location. It’s simple, it speaks for itself and you will love it! Need help? Have any question? Contact us! 2. Leave your details as they fit in the note to seller. * We will send you an invoice for the remainder after you have approved your proofs. 2. Proofs will be sent within aprox 2/3 business days to your email! That's it! When you have approved, we begin production! Our luxe cotton 110lb stock with a lovely feel and texture – not smooth and lightweight! ( Return Address Printing ) In the same font style as the invitation, on the back flap of the main invitation as well as the front of the rsvp envelope. FOR CURRENT DISCOUNTS, ADDITIONAL QUESTIONS, ETC. PLEASE SEND US A NOTE! 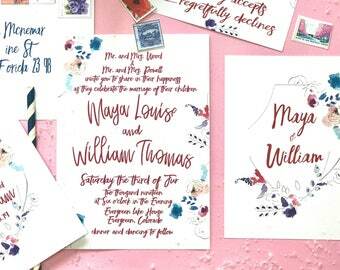 I just received my invitations/ rsvp cards and I can already say that I am very pleased with how they turned out. 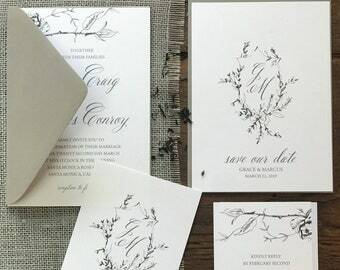 The cardstock that was used is heavy and the perfect shade of white. 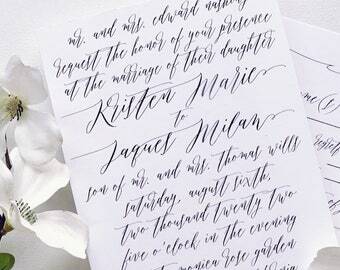 The grey calligraphy font is beautiful as well. Rebecca was pleasant to work with and responded quickly to all of my emails. Thank you for adding another special touch to my wedding, while making the process as painless as can be. 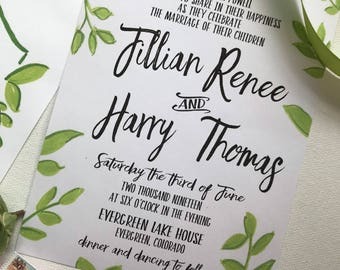 So happy with my custom wedding venue watercolor and wedding crest. Looks completely amazing! Rebecca has been fantastic to deal with, really responsive, friendly and easy to work with. Highly recommend! Perfect ! Loved these so much !